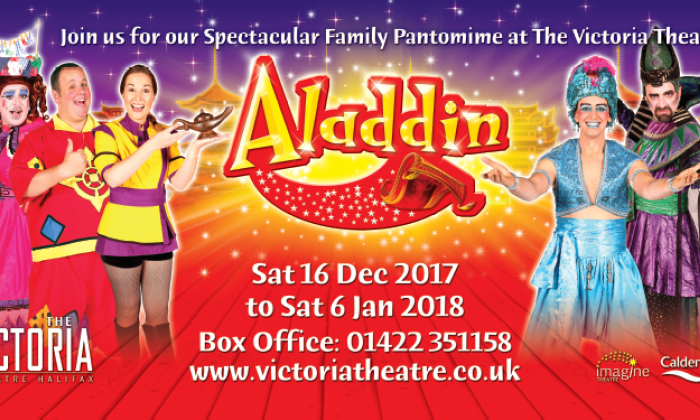 So this Christmas I've managed to wangle some time off between the big days and new year (which I have the joy of working) and for the first time since… well, since I was a child, I've got the pleasure of going to a pantomime. In my wife's family it's become a bit of a traditional trip to take the grandkids to the local pantomime, and in fact, Mrs. K tells a great story about being taken to the pantomime as a little girl by her own grandfather who was the mayor of Halifax at the time. Purists would have the true origin of pantomime in the ancient classical era of Greek and Roman theatre, but the composition of said plays was far removed from the gaudy, bawdy, loud spectacle that I recall that I think I'll travel onwards through time to the 17th Century when an Italian travelling theatre began to utilise traditional tales and stories told with a set of regular supporting characters: these included characters who would become near-household names such as Harlequin, Clown, Scaramouche, and Pantaloon. 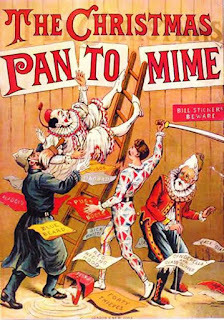 These would form the basis of characterisations such as the comical, witty, cunning servant who latterly becomes the romantic lead (Harlequin), or the greedy old man/ father (Pantaloon). 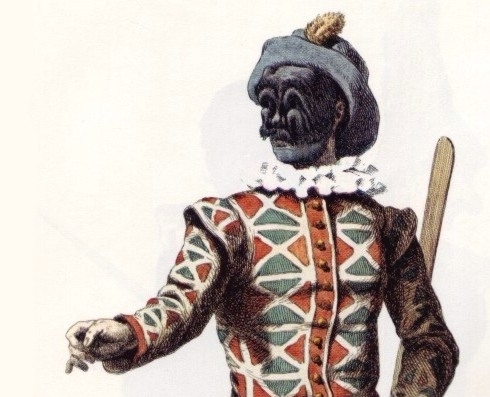 This 'commedia del' arte' developed with the harlequin character as a lover who eloped with the daughter of the greedy old father, usually involving a chase scene, and usually involving magical scene changes with Harlequin using his 'slapstick' to enact such sorcery. In the UK in late Georgian/ Early Victorian times this 'harlequinade' started to utilise traditional fairy tales, folk tales, and nursery rhyme characters, often in synergy and often with adaptation of the plots. The presence of Harlequin as the key character began to alter with the evolution of Clown, and the seminal performances of Joseph Grimaldi whose depiction of the smiling trickster has fuelled many horror films and phobias ever since. Other recognisable pantomime characters then began to feature in the mid-to-late Victorian era, with Harlequin's transforming magic being taken by the Fairy Godmother, and the cross-dressing Pantomime Dame becoming a staple feature after the starring performances of Dan Leno. The Dame: a bloke cross-dressing, often as the hero's mother (such as Widow Twanky), with plenty of smutty puns. Even Ian McKellan has taken his turn! The lead boy character: is conversely played by a girl, often in an outfit that leaves no doubt. I can remember seeing Peter Pan as a child and getting really disturbed. It also makes me think of Blackadder's 'Bob' (from Blackadder 2: Bells) when I consider this. Audience participation: think of a kid's version of the Rocky Horror Show, with everyone yelling "He's behind you!" or "Oh yes he is…" then "Oh no he isn't" and you get the idea. This is the best part for me, especially with the 'boos' at the villain, and the two halves of the theatre competing in sheer volume. Interestingly this audience participation is something that stadium rock seems to emulate, whether singing parts of the song, copying the singer, or sides of stadium competing! Really really bad jokes (and double-entendres): still a very British thing, especially with the content of UK 'Carry on' films, or sitcoms. It permeates into US humour too, I think, but not to the same immature magnificence as here in Blighty. And finally… why is it at Christmas? 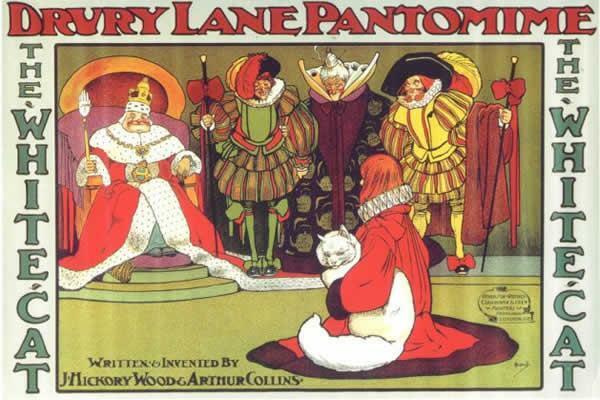 Quite simply, back in th' old days, the opportunity for the children to get to the theatres to see pantomimes was within 'holiday' seasons, and this was seized upon by David Garrick in the 19th century when he sought to promote the fun and frivolity of pantomime as an alternate to serious popular theatre in London's Drury Lane. 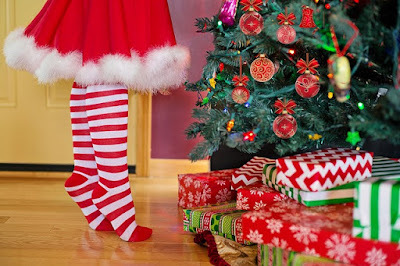 A tenuous link perhaps, but one that's very much part of the x-mas experience over here, and one that'll make me feel like a kid again but this time with my own children in tow. Of course, the other Xmas experience is likely to be the Star Wars movie, but I'll probably leave that one to another post. Ross M. Kitson is a doctor, occasional blogger, full-time geek, and sporadic author of fantasy and YA sci-fi. Connect with Ross on Twitter.